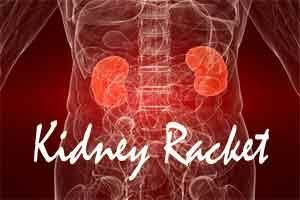 Police in Gujarat’s Anand stumbled upon a major inter-state racket in trafficking of human organs, bringing 13 people to the Ahmedabad Civil Hospital on Tuesday for forensic examination on suspicion that they sold their kidneys, soon after five people complained they had become victims of a gang. All of them hail from Pandoli village of the district where police have information of 80 such cases though it is yet to ascertain if they fell prey to the racker or were part of it. Police believe this to be the handiwork of an organised gang awith its roots across Gujarat, Chennai and Sri Lanka. Bharat Shah, dean, BJ Medical College, where the people are being examined, said it appeared the kidneys had been taken out by expert hands. “We asked them detailed questions and a seven-member forensic team also carried out medical examination of the patients brought in by police,” he said. Five other youths have alleged their kidneys were surgically removed at different times since 2001 without their knowledge after making them unconscious, police said. The first police complaint was lodged by Samir Badruddin Malek of the same village stating that he was taken to Delhi and operated upon to remove a kidney. “He told our team that he was operated in a hospital in Delhi but he does not know its name,” said Anand’s Superintendent of Police Ashok Kumar Yadav. Yadav told reporters that he suspects a bigger racket in sale of human organs on learning of these cases and has constituted a special investigation team comprising local police and crime branch officials to look into it. “Since the issue is serious, I have ordered formation of an SIT to go deeper into it,” he said. Yadav has also deputed a team from the health department to the village to ascertain if more people have fallen prey to this racket. “In their statements, these locals claimed the accused made them unconscious and removed their kidneys without their knowledge after taking them to Delhi. All this happened over a span of 15 years but they remained silent to avoid landing in any trouble,” he said. Yadav said that most people in the village are daily wage labourers, and one told police that that he decided to sell its kidney as he was in financially dire straits while another did so finance his daughter’s wedding.